In the last few years Viktor Orbán, Prime Minister of Hungary has talked about how Europe is being overrun by people from Asia and Africa and of the importance of “ethnic homogeneity.” Mr. Orbán says that Hungary is for Hungarians; the country doesn’t need foreigners or immigrants. According to him “Christianity is Europe’s last hope” and Hungary is the bastion in this struggle. Last October Mr. Orbán declared that “assimilation, the adoption of other languages and mixed marriages” represent mortal dangers to the Hungarian nation. Mixed marriages? I wonder how Mr. Orbán will respond to the gold-medal win by the bi-racial Liu brothers? Sándor Liu Shaolin, Shaoang Liu, Viktor Knoch and Csaba Burján were the members of the winning speed skating team at the Winter Olympics. They all skated superbly, but the team’s “backbone” is the pair of the Liu brothers, children of a Chinese immigrant father and a Hungarian mother. Christian and white Hungary now has sports superstars with names like Shaolin and Shaoang. 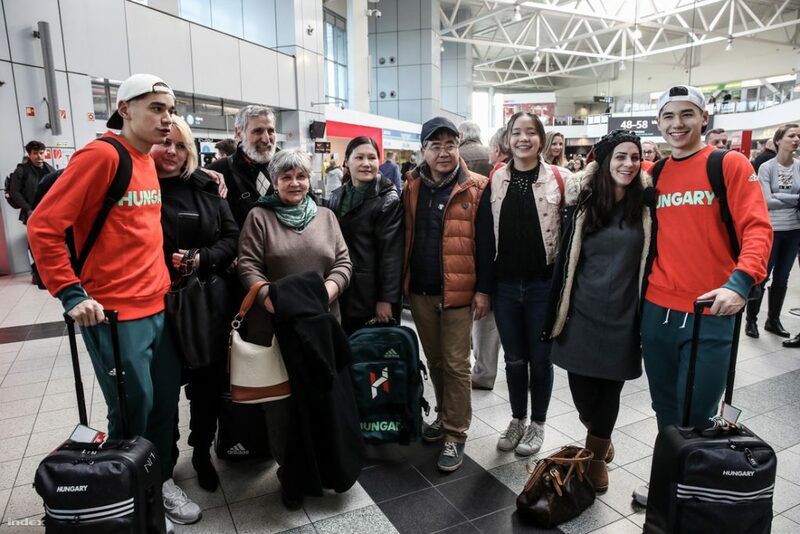 The Liu brothers with their family at Budapest Airport. 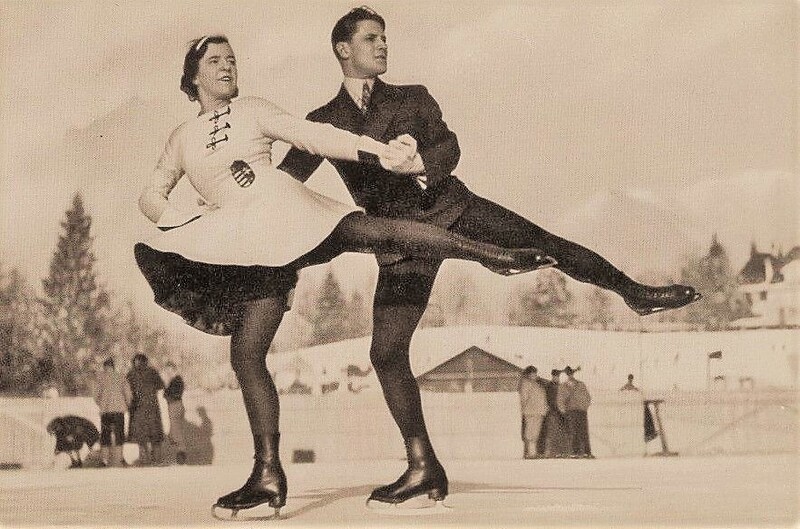 In 1932 Emília Rotter and László Szollás won the first Winter Olympic medal for Hungary, a bronze, in figure skating at Lake Placid. They were proud Hungarians and the nation celebrated them. In 1938 when Hungary’s horrendous Jewish Laws were enacted both realized that they had “problems” in their pedigrees. Both had enough Jewish ancestry that they were not considered “pure Hungarians” by the Horthy regime. Rotter and Szollás suffered tremendously during World War II, but survived. Emília Rotter and László Szollás won the first Winter Olympic medal for Hungary in 1932. The program reminds me of the Nazi Lebensborn campaign of the 1930s encouraging the birth of racially pure babies in several countries in Europe. Mr. Orbán’s scary ideas belong to the dustbin of history. Mr. Lazar, your bigoted anti-native ideas are reminiscent of the attitude of European colonists in North America from centuries ago, it supports ethno-cultural genocide and belongs in the dustbin of history. Mr Orban is correct, there is a demographic danger to all distinct native cultures in Europe. Don’t forget, Hungarians, Poles, Danes and others in Europe are just as native to Europe as were the Mohawk, Hopi, Cherokee and others in North America. On one hand there is the low birth rates, bellow replacement rate. On the other, there is the massive influx of non-Europeans, both legal and illegal. PEW research recently released a study showing that a country like Sweden could become 30% Muslim by 2050, which is in only 32 years. Now adding in all other non-Europeans likely to enter Sweden by then and clearly all Europeans in Sweden will be on the edge of becoming a minority there within just a generation. Native Swedes themselves might in fact be a minority in their own country by then. So clearly, there is a demographic threat to all native European cultures. Now your argument is that the mindset of the natives to try to preserve themselves is “Nazi”. Crazyhorse tried to preserve his native culture and habitat from European colonists. Was he a “Nazi”? Stop your anti native European hate mongering! All cultures on this planet are precious and have the right to preserve themselves. Any attacks on those rights is pure hate & bigotry. 1) Pew report has three scenarios. Peter reports the high growth rate scenario for the country with the highest growth potential. He is fear-mongering. 2) For Hungary the Muslim population percentage by 2050 for the three scenarios is 0.4%, 1.3%, and 4.5%. It is highly unlikely that Hungary has a potential for the high growth rate scenario. 3) He assumes that immigrants will not adopt the local culture, when study after study shows by the third generation the vast majority have done so. (As a personal aside, I had a great night in Budapest drinking Palinka with some Hungarian Iraqi’s). How is there any threat from 1.4%, the vast majority of which will have accepted Hungarian culture as their own. 4) He assumes that Hungarian culture is so weak that it can not absorb such small percentages of Muslims without some unstated negative consequences. Hungary has a history of repeated occupations and yet it has maintained it cultural identity. Why does Peter have so little faith in modern Hungarian culture? 5) Native American culture was faced with an invading culture that had superior technologies, weapons, and brought diseases they had no immunity too. The small number Muslims coming to Hungary have no such advantages. His analogy is deeply flawed. 6) Hungarians are not native to the Carpathian Basin. 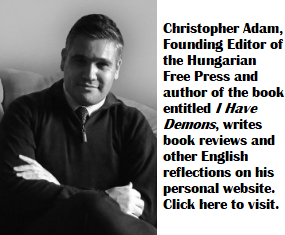 7) The greatest changes to Hungarian culture during the last century have come from Anglo-American culture. I have never heard him call for a ban on these influences. Peter is clearly bigoted and pathetically tries to use a concern for North American Native cultures as a foil for his anti-Muslim worldview. You really do need a reality check. 1) I said it is a possible outcome. 2) The high scenario for Hungary would mean it will be where most West European countries are right now. 3) Please be my guest and give us a historical precedent where a shrinking population absorbed a growing incoming one. You cannot, because there is no such historical precedent. 4) For the first time in history, Hungary has a negative birth rate, which makes it vulnerable to such demographic colonization. Hungary may have been occupied in the past, but not demographically colonized by the occupying force. 5) Native American culture was wiped out by mass colonization. Europeans occupied other places around the world, but it was the demographic overflow which made the difference. The tech was the facilitator, as is West’s own suicidal culture right now. Don’t need weapons to force in colonists, when your own leaders bring them. 6) Hungarians are as native to Europe as the Sioux are to North America. You clearly have no clue what planet you are living on! I get it, you are scared of Muslims. Fear makes people irrational. No you don’t get it. All you get is the ability to write typical leftist talking points, which in the case of this conversation are out of sync with what I actually said. Mr. Lazar, when will you admit that Hungary has the right to determine who lives there. Mr. Liu probably entered Hungary on merit bases and it paid off. There is no reason why Hungary should admit anyone who would be a cost to the nation instead of an asset. Orban is not Hungary, but it’s gravest “cost” (harm). His regime is not even a legitimate government by any democratic standards – skewed electoral system, embezzled billions used for funding illegal political shenanigans, etc. Peter seek medical help! I think what you have is curable! Don’t concentrate on hate! Chose love! Do you think the Dalai Lama is concentrating on hate? Or is he thinking of his wish for his own people not to face ethno-cultural extinction due to mass-colonization and perhaps sees the same threat being self-inflicted in Europe? I personally think that many people in the Western World have adopted an ideological position which despises global cultural diversity, thinking that humanity would be much better off if homogenized. I disagree, and furthermore, I hope Hungarians can continue to remain a distinct and unique part of that diversity for centuries to come. I think a sizable portion of Western World population needs medical help frankly, because there is nothing healthy about self-loathing, leading to a desire for ethno-cultural suicide. Peter seems to have some form of mental illness and has gone down some weird Alex Jones-inspired rabbit hole. I am not being facetious. There are, indeed, cures. What is the “cure”? A few generations of brainwashing, leading to collective cultural self-loathing and a sick desire for cultural suicide? Keep it! Look, Peter, I see you care about only one issue. But Grand Wizard Viktor Orbán is not who you think he is. He is laughing his head off at home, along with his comrades, that so many Hungarians will eagerly slurp up whatever nonsense that he spews. And he and his people know that it is all bull. “Nazi”, “Grand Wizard”, and so on and so on. I personally am a believer in 1+1=2, therefore if you and others call Orban & Hungarians these things for their refusal to take in colonists and thus commit ethno-cultural suicide, then you must also do so for other leaders & countries around the world. How about Japan, Korea? They are not drinking the cool aid either, along with countless countries around the world. Would you call them all these things as well, or are such labels reserved only for European cultures? How many times will u mention “Nazi” regarding Orban? He’s not, he’s a fascist. Want to see fascist? Look left! Peter, from the right side you can only look to the left, right? Look carefully what Orban has said. If someone is born in Hungary and they represent my country, they are my country, irrespective of their colour, etnicity or religion. So, who is right, me or Orban? If you were Sioux, would America really be your country? Or would you consider that you lost it to others? There is a reason why they do not celebrate Columbus day! Mr Gyorgy Lazar we hope the description about yourself is not writen by yourself because that would explain a lot abot youre personality and why you avoid answering questions and instead prefer to attack and label as mentally ill someone who puts you in a corner. Peter says, non-Europeans, legal or not, are Muslims. Because of that they are more different than Europeans because of that they destroy culture. But he does not explain how much differences are aloud. And he also does´t explain from witch Date anno domini of Migration the Hungarians are native culture. 1) I did not say all non-Europeans are Muslims. 2) I did not say that they destroy culture, but simply that they can demographically overwhelm the native Europeans. 3) Hungarians are as native to Europe as were the Sioux or Hopi to North America. The fact that these groups may have lived somewere in a different area 1,000 years ago, does not make them any less native. Would you dare to make this argument in regards to their native status, based on this same logic? Probably not, so stop making it in regards to Hungarians! 2) Whats than the problem. 3) This was my question, when they lived 1000 Years before elsewhere, what is with 2 years or 10 years or 30 years. And who is the Judge, because Hungary have a lot of Immigrants. So what can Hungary do, Hungary can cover the Country till the native died out. What you keep repeating is that demographic shifts will result in “ethno-cultural genocide”. So, despite this “genocide” you fear, the cultures will remain intact? And if the demography shifts and culture remains intact, then why are you worried? You really need to get your story straight. Native Americans came to a landscape in the America’s that was devoid of humans. They are “native” (first peoples, aboriginal peoples or native peoples) because they are the first occupiers, in contrast to groups that have settled, occupied or colonized the area more recently. Other examples include the Australian aborigines, the native Hawaiians, etc. Hungarians arrived in the Carpathian Basin and settled in a landscape that had been occupied by humans for 10,000’s of years before them. The first Homo sapiens in the area were the Aurignacians, who came to the Carpathian Basin between 33,000 and 28,000 BC. Before them there were Neanderthals and Neanderthal/Modern Human hybrids. The Hungarian tribes did not arrive until about 29,000 years later. Your insistent analogy between Native Americans and Hungarians is total nonsense. I come from Canada, a country that embraces multi-culturalism. Hungary choses not to support entry of refugees. Hungary has that right. It is one of the poorest countries if the EU. Hungary might change this position in the future right now but this is the correct choice right now. Hungary loudly cheers and loves the Liu brothers. They are Hungarian as are the many immigrants that live in Hungary like myself. Hungarians are just like other citizens of the world. We love everyone. Mr. Lazar please start loving and not hating. 😉 I invite you to some palinka on your next visit to Hungary. Ok, so according to you, “White Christian Hungarians” are the equivalent of the Sioux? Are non-white, non-Christian folk born in Hungary commiting the same crimes on the *sic* indigenous Hungarian population as the Europeans did on the native Americans? Do you seriously believe that?